The Top African Americans in Financial Literacy — D.R.E.A.M. I have a pet peeve, allow me to vent for a second. I am an avid reader of many top business and financial publications. I always see several lists from these publications celebrating “top Blacks” in certain fields. The lists generally capture and highlight the extraordinary efforts of individuals and the professional successes they have accomplished. The industries usually represented are politics, law, finance, and medicine. What I have yet to encounter is a list dedicated to persons advocating and spreading the knowledge of financial literacy. As you are aware, I think financial literacy and personal finance are two of the most important fields in the 21st century. I decided to take matters into my own hands and do some research. What I have compiled is a list of prominent African Americans in financial literacy. These persons are industry leaders and in many respects push the national agenda on financial literacy. All of the people highlighted have a national presence and are widely recognized for their contributions to the financial literacy “movement”. A common theme among all of the selected participants is an unwavering devotion to philanthropy. This I find very noteworthy. Their backgrounds and professions vary, but all of the selected persons are very keen in understanding that underserved, urban communities are at the crux of where financial literacy is desperately needed. Admittedly, this list is not exhaustive; I wish I had the time to cover every person that is making a contribution to financial literacy movement regadless of race, gender, or creed. This list highlights a few people and will hopefully spawn conversation and demand the need for a larger, more comprehensive, list in the future. *This list appears in no particular order of rank. A stalwart among the African American business elite, Graves has turned Black Enterprise into one of the most recognized business publications in the nation. 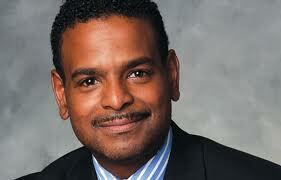 Graves has led a very successful career in journalism, philanthropy, and the promotion of minority owned businesses. 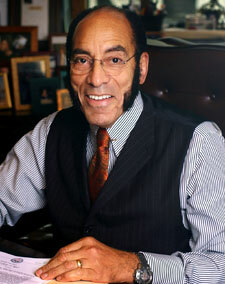 Notably, Graves was influential in developing Black Enterprise’s “10 Wealth for Life Principles” which is featured in each issue of his magazine. The principles serve as great tool for anyone seeking structure on how to generate wealth effectively, from amateur to expert. 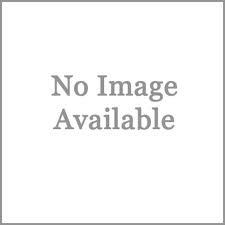 For more information on the success of Graves, click here. Frank Parks - Founder and Chief Executive Officer of Future Investors of America, Inc.
An entrepreneurial father that yearned to teach his children about finances and business, Parks created an exciting financial intelligence company, Future Investors of America, Inc. Today, the firm boasts of introducing thousands of youth between the ages of 8 and 19 to the world of finance and business. A man with a wealth of experience in business and finance, Mr. Parks has taken on the personal mandate of sharing this knowledge with youth everywhere. The company hosts its Young Investors Wall Street summer camps nationwide. For more information on Parks and FICA, click here. An extraordinary figure, Tisdale has over 15 years of journalism experience reporting on business and finance. A prolific writer, Tisdale is the author of The True Cost of Happiness: The Real Story Behind Managing Your Money (publisher: John Wiley & Sons). 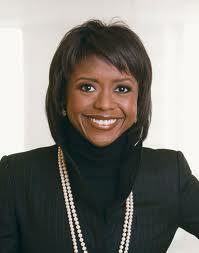 Tisdale has appeared on NBC’s Today Show, CBS Marketwatch, and the Oprah Winfrey show as a financial expert. Notably, Tisdale authored a collegiate level personal finance curriculum on behalf of The White House as part of its financial literacy initiative. The curriculum was adopted by Spelman College in the beginning of the 2008-2009 academic year and is in the process of being adopted by other Historically Black Colleges and Universities across the United States. For more information on Tisdale, read here. Hobson serves as President of Ariel Investments, one of the largest African American owned investment firms, based in Chicago, IL. A widely successful, recognized, and esteemed financial professional, she serves as the Chairwoman of Ariel Mutual Fund Investments. Hobson has answered the call to educate investors and spread financial literacy; she is a regular contributor on financial issues on Good Morning America and monthly contributor to a special Black Enterprise column on various financial topics. Just in case you didn’t know how cool she was, Hobson sits on the Board’s of Groupon, Estee Lauder, and Starbucks among others. For more information on Hobson, read here. You can find her daily on CNBC reporting on the latest developments of the commodities market, but this phenomenal woman does much more than that. The author of The Big Payoff: 8 Steps Couples Can Take To Make The Most Of Their Money—And Live Richly Ever After (HarperCollins), Epperson is a leading voice in financial literacy. 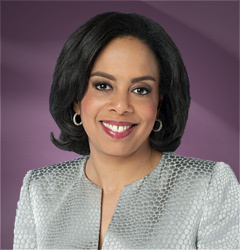 Her financial advice is featured regularly on CNBC, and is often quoted in The Wall Street Journal, The Washington Post, The Boston Globe, Ebony, Time, Essence, and USA Weekend. Epperson frequently speaks at colleges and universities across the nation on the importance of financial literacy. She is also an adjunct professor at Columbia University’s School of International Public Affairs. For more information on Epperson, read here. Douglas Coe is a financial services veteran, with over twenty years of industry experience. Coe is often featured in Black Enterprise and a regular feature on CNBC. In 1995 Coe founded Moody Reid Financial Advisors, a full service investment firm. Coe decided to utilize his professional knowledge coupled with a passion for education and created an investment summer camp for youth in Kansas City, his hometown. This extraordinary experience for children in 4th through 12th grades provides the youth with an understanding of saving, investing, and personal financial management. And the best part of it all, the camp is free! Coe has recently expanded the camp to other cities. Check the website to see if your city will host a camp this summer. An extraordinary and pioneering figure, a lot can be said about Mr. Bryant. Operation HOPE is described as “America’s first non-profit social investment banking organization”, according to Mr. Bryant’s website. Bryant doesn’t only have “boots on the ground” but he has also made his presence felt in Washington where he tries to drive policy regarding financial literacy. Mr. Bryant was appointed to serve on Obama’s Advisory Council on Financial Capability, and prior to that Bryant served as vice chairman of the U.S. President's Advisory Council on Financial Council under George W. Bush. Bryant is a dedicated author including, Banking On Our Future (Beacon Press). He also serves as member of the NYSE Euronext Financial Literacy Advisory Committee. It’s hard to mention ‘financial literacy’ in America and not mention the work of Operation Hope. 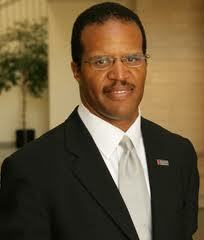 For more info on Operation Hope and John Hope Bryant, click here.